Encinitas DREAMS Bigger by Growing Their Own Certified-Organic Lunch! The Encinitas Union School District (EUSD) has long been known for fostering a culture where environmental and wellness learning opportunities are integrated into meaningful educational instruction. In 2014, EUSD was named California’s Green Ribbon School District and received national Green Ribbon status for reducing environmental impact and costs, while improving the health and wellness of schools, students, and staff and providing effective environmental and sustainability education. EUSD is making even more meaningful strides to advance its environmental and wellness efforts through Farm Lab, a pioneering Farm to School program I founded that uses district land to grow organic crops for the school lunch program and makes use of its agricultural backdrop to deliver lessons and activities that empower all district students to use their daily actions to support their health and transform their schools, homes, and neighborhoods into vibrant spaces that make their communities more resilient. EUSD Farm Lab is a ten-acre, district-owned satellite property that was converted from a parking lot into a unique educational space and organic crop production farm. Farm Lab is home to the DREAMS Campus, as well as a community fruit orchard, community garden, and the country’s first district-owned, certified-organic farm that grows produce for its own school lunch program. 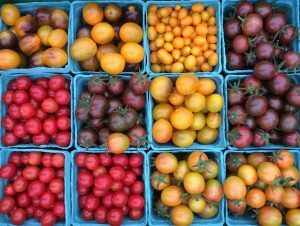 EUSD’s ground-breaking farm program has built genuine excitement around growing, serving, and eating hyper-local, fresh food. The program’s ambitious goals include increasing student consumption of fruits and vegetables, having more students participate in the school lunch program, and providing more opportunities for students to choose fresh produce and nutritious foods every day at school. 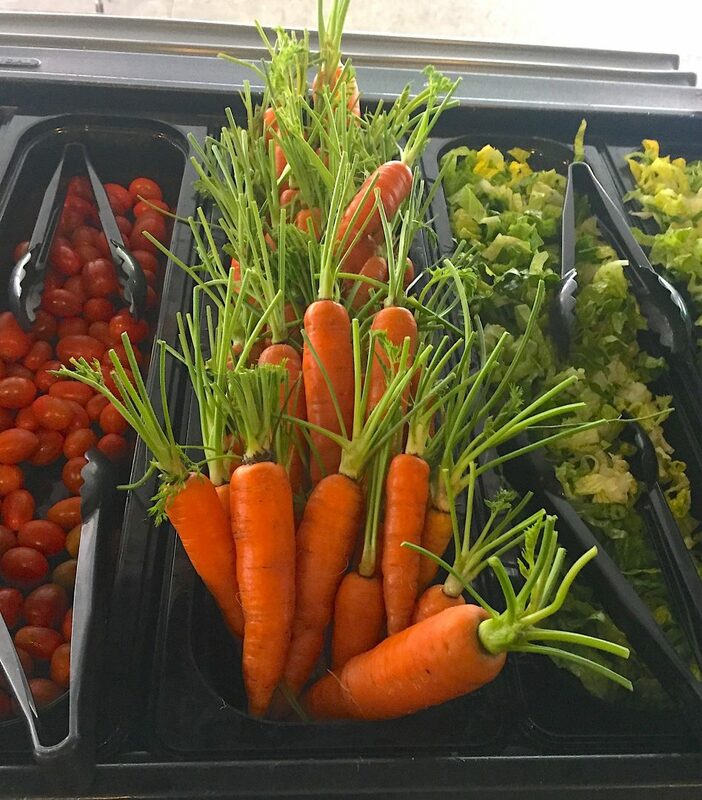 Growing their own organic produce has helped EUSD transform school lunch from packaged and processed to scratch-cooked, fresh, and healthy. Farm Lab and other local vendors can provide 50-70% of students’ lunchtime fruits and veggies. 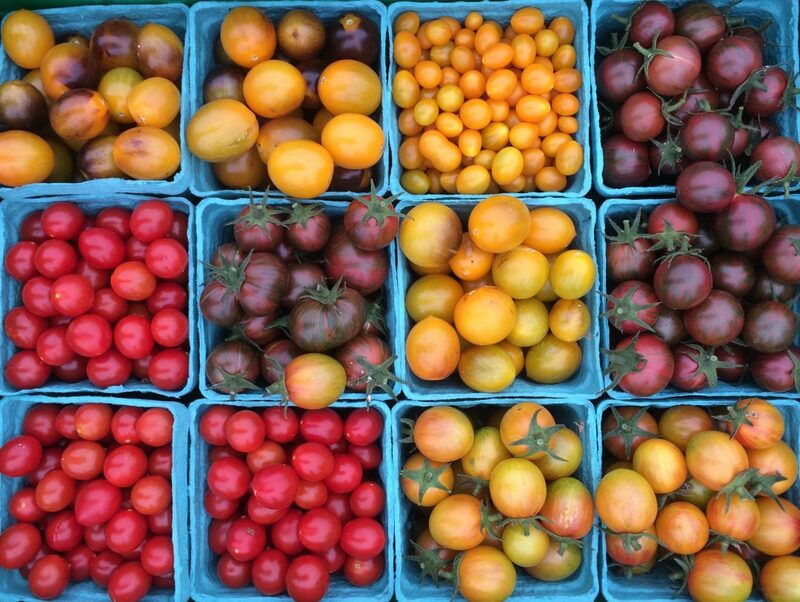 Most food is sourced right in San Diego, and all food is California-grown or sourced regionally during peak season. Even proteins get a healthy update: 100% of ground beef is organic and fresh fish is sourced from San Diego waters. Last year, Farm Lab supplied over 13,000 lbs. of organic produce to its own school lunch program! Encinitas’ Farm to School Program is enthusiastically implemented by my Farm to School partner, Lea Bonelli, Director of EUSD’s Child Nutrition Services. We are often overheard saying “Healthy kids are better students.” This belief is backed up by Centers for Disease Control and Prevention data showing that eating a healthy meal improves academic grades and standardized test scores, reduces absenteeism, and improves cognitive performance. We also believe that exposing children to new and healthy foods at school makes a difference in what they choose to eat right away, but when backed up by fun and engaging DREAMS education, habits are changed for the future as well. All 5,400 EUSD students get to visit Farm Lab’s DREAMS Campus and rotate through grade-level lessons, sometimes for several consecutive days. Visits are designed to impart knowledge and information to students and teachers that seamlessly connects to district efforts at each school site: instilling the values of authentic learning, inspiring healthy lifestyles, becoming engaged citizens, and stewarding a healthy planet. The atmosphere for Farm Lab lessons can exceed the “loud and messy” thresholds of a typical classroom, as students freely express their curiosity and wonder. Hands-on experience, rather than reading or hearing about a subject, is known to increase student comprehension and help students reach a deep understanding of their daily actions, cultivate their abilities, and develop capacity to authentically contribute to their communities. The primary intent of Farm Lab’s DREAMS curriculum is to integrate design, research, engineering, art, math, and science into hands-on activities that increase student understanding, analysis, and application in these critical areas. Farm Lab lessons and activities are aligned with Next Generation Science Standards, combine high-tech and low-tech activities, take place both indoors and out, and are centered around real-world problem solving. Farm Lab’s agricultural backdrop provides the DREAMS Campus with novel opportunities to reinforce student appreciation of organic food production and its direct benefits to local air and water quality, as well as students’ own healthy nutritional practices. 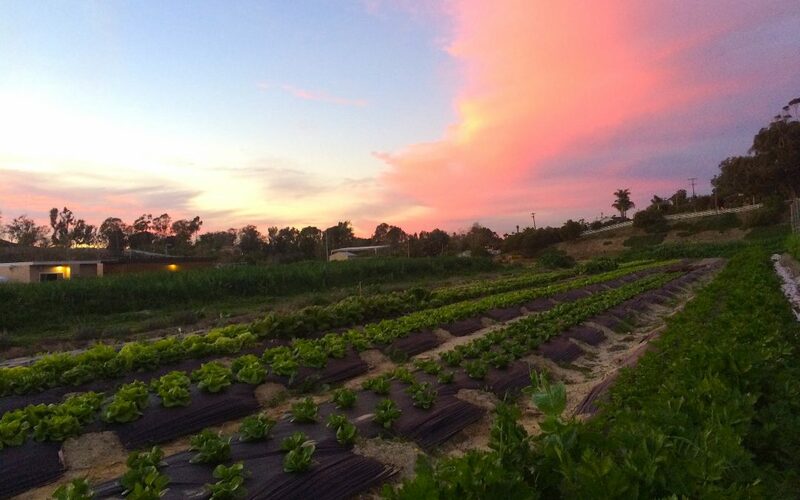 Enhancing EUSD Farm Lab’s impact is its location in the coastal town of Encinitas, California and the E3 Cluster, a collaborative neighborhood partnership that leverages the diverse resources of several adjacent organizations to foster environmental education. 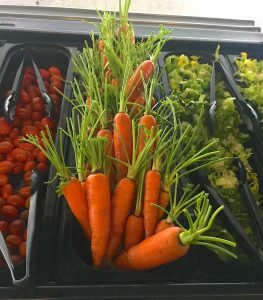 Encinitas students significantly benefit from expanded learning opportunities with E3 Cluster partners like the San Diego Botanic Garden, as well as farm management by Coastal Roots Farm, which strengthens the district’s reimagined healthy school lunch. 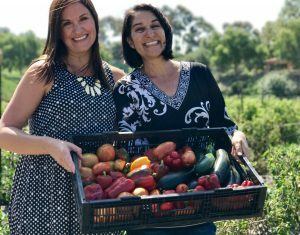 EUSD’s farm to school model showcases how public/private partnerships and projects have the power to change the culture of a school district and a community to one that values, and invests in, personal, public, and global health. 1st Grade: Thanks to support from the California Foundation for Ag in the Classroom, students utilize design, research, engineering, art, math, and science to learn about organic growing methods and an array of farm pests. Since toxic pesticides are not used on their certified organic school lunch, students are tasked with creating alternate pest control. Utilizing maker-style materials, students design, engineer, and build contraptions that use sound and motion to scare pests away. 5th Grade: Thanks to generous support from The Whole Kids Foundation, Farm Lab fifth graders learn about various methods of advertising, in particular, food marketing. Students then work collaboratively on branding for promoting EUSD’s healthy lunch. Students design logos, develop slogans, and create a series of posters, pins, and stickers to be used for a peer-to-peer campaign related to the district’s efforts to grow and serve fresh food at lunch to improve student health and achievement. Organic certification of crop production farm in 2016. Consistent harvests of 300 heads of organic Romaine lettuce per week – enough lettuce to supply all 9 daily salad bars in the district for the entire school year. Farm Lab seasonal harvests of watermelon, cucumbers, carrots, celery, tomatoes, peppers, sugar snap peas, and herbs for school salad bars and menu items – averaging 200 lbs. per week. Preservation of summer bounties of 100-500 lbs. per week of tomatoes, summer squash, peppers, and fresh herbs for roasting and freezing as pizza and marinara sauce for the following school year. Follow EUSD Farm Lab’s progress by visiting EUSD Farm Lab on Facebook, www.eusdfarmlab.com, and http://www.eusdfarmlab.com/farm-to-school.html. Mim Michelove is the Encinitas Union School District’s (EUSD) Farm Lab Director. She has worked within EUSD since 2008 helping to create school garden programs and promote responsible environmental practices. Mim has also served as one of EUSD’s environmental consultants, helping to guide the district toward sound environmental changes and cost saving green efforts.